Into the idea of rubbing shoulders with the top creative minds in the country while hanging out with the coolest kids in town? Then come and live that agency life with the Publicis Machine creative team at The Loerie Awards 2016 in Durban, 20-22 August. We’ll hook you up with flights, accommodation, tickets to the awards show and a weekend you won’t soon forget. There’s a lot more to being an intern than doing coffee runs! So send us your portfolio of work and a short motivational video of why we should pick you. If it’s boring we’ll skip it so make sure it gets our attention! 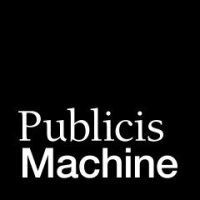 Submit your application (via WeTransfer or Dropbox) to hello@publicismachine.com by 29 July. Winners will be announced on 5 August.